Construction sites can expose construction workers to toxic levels of lead. Painters, demolition workers, plumbers, and welders are at high risk of exposure, but even employees in other industries, such as heating/air conditioning, electrical, carpentry, and home improvement, may be more exposed to lead than they realize. From abrasives to paint, mortar to rivets, lead exposure in the trades is a frequent occurrence, and without the proper protection, lead poisoning causes workers to suffer serious injuries or death. It's important to be tested for exposure and be aware of the most common symptoms to keep you and your family safe. A construction worker can absorb lead by inhaling it from dust, fumes, or mist, or ingesting it if it's on his hands while eating and drinking. 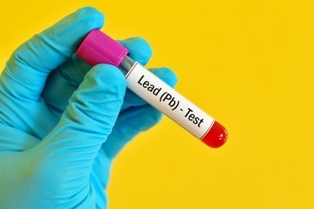 Lead then gets into the bloodstream and is stored in a person’s organs and tissues, causing irreversible damage. 5 mcg/dL. This shows you have been exposed to lead. 25 mcg/dL. Your level is high enough that you need more workplace protection from environments with the probability of lead. 40 mcg/dL. Your employer must offer you a medical exam if your level is this high. 50 mcg/dL. Your employer must remove you from work where you are exposed to lead. Keep in mind that all employers should offer regular blood testing to spot lead exposure before it becomes a problem. Before going home, make sure to change out of work clothes before getting in your vehicle, and wash other family members' laundry separately from work attire. Are you a construction worker who developed symptoms of lead exposure on your job? Fill out our online form to schedule a free appointment with our legal team to learn about your legal options.